Project partners: Stoke-on-Trent City Council, Stoke Approach, Advantage West Midlands, Keele University. 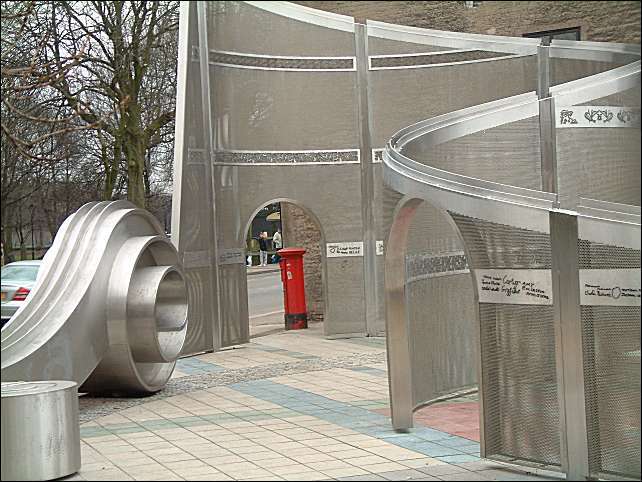 A startling piece of art – sited on the corner of Kingsway and Glebe Street, Stoke – is made from stainless steel. Called Another Gift, the work consists of twists and turns of steel stretching to around five metres in height. 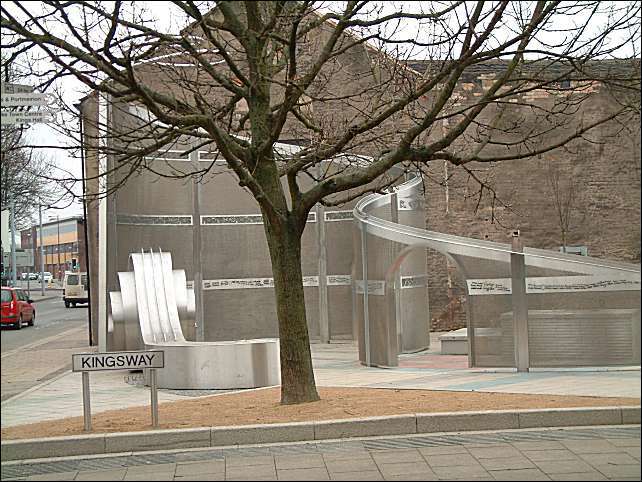 Liz Lemon’s startling piece of art, sited on the corner of Kingsway in Stoke, allows pedestrians to walk in and out of its twists and turns and admire the scrolls of steel, with trees planted around the edge of the design. Liz’s Another Gift reaches almost five metres in height. The art installations are designed to inspire emotions and thoughts in observers. 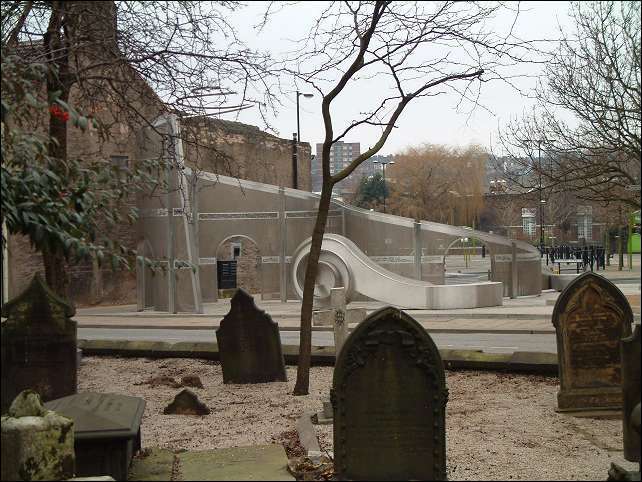 Art is an essential ingredient to an expanding and creative city and improving our everyday views should mean a stimulating challenge for residents and visitors alike. Liz Lemon, artist working to commission in public art, and part-time lecturer, BA Fine Art, Staffordshire University. and Kingway stretches out behind.